Kelowna, BC – As students at the University of British Columbia Okanagan campus (UBCO) break for the holidays, many will use time off to look for housing as there remains a shortage of on-campus housing. A spot in residence is guaranteed only for first-year students. 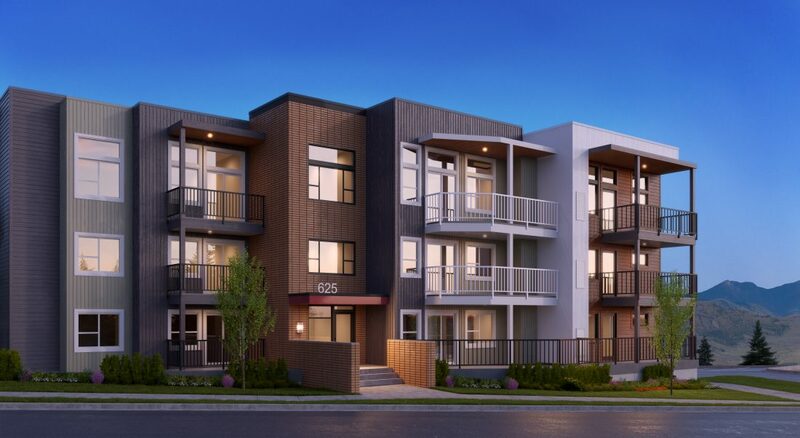 Mission Group announced this December that sales of U-Eight – its final condominium project in Kelowna’s University District – will begin in early 2019. U-Eight will add 90 homes within walking distance of UBCO, where enrollment has nearly tripled since 2005, growing this year to 9,945 students. UBCO provides 1,676 student beds with its current on-campus housing which accommodates less than 17% of its student population, according to UBC Media Relations. “Parents of students are finding value in the University District as owning a condo here gives their children a brand new home to live in while they attend university,” says Jessica Sorrell, director of sales and customer experience, Mission Group. “At the same time, they are able to collect income on their investment year round should they choose to rent it out instead,” adds Sorrell. A recent report from the Canadian Mortgage and Housing Corporation (CMHC) on rental markets in Canada shows Kelowna’s overall rental vacancy rate grew from 0.2% (lowest in Canada) to 1.9% since October 2017. Kelowna’s vacancy rate is higher than Vancouver (1.0%) but lower than other Canadian cities such as Winnipeg (2.9%), Calgary (3.9%), Edmonton (5.3%), Regina (7.7%), and Saskatoon (8.3%). With UBCO providing 1,676 beds in residence and property developers adding more than 1,800 beds in the University District, there are less than 3,500 beds for the 9,945 students enrolled leaving a shortage of more than 6,400 beds. And the latest UBCO Master Plan only calls for an additional 2,250 beds for students over the next 20 years. “For students, finding housing has always seemed nearly impossible. Recent new supply in Kelowna has made things slightly easier but there is still a huge shortage,” says Luke Turri, vice president development, Mission Group. “Kelowna is no longer the hardest city in Canada to find a rental suite, but the University District is unique in that it faces constant demand for accommodation within walking distance to campus,” explains Turri. “At $2,000 per month, both of my suites were rented within a week of listing,” said Mr. Moe Sidhu, owner of two, two bedroom condos in Mission Group’s U-Five development. As an important part of the local economy, UBCO has attracted infrastructure investments like the $54 million upgrade of Highway 97 to six lanes just south of UBCO and a $12 million connector road linking the Glenmore community and UBCO that opened this September. UBCO now has an economic impact to the Okanagan of $1.5 billion. “While Kelowna is home to this world-class university campus, it is also a relative bargain to comparable offerings in the Lower Mainland,” adds Turri. According to Royal Lepage’s Q3 2018 Housing report, the median price of a condo in Kelowna is $404,575 compared to $380,485 in Q3 2017. Vancouver’s median condo price is currently $797,861. U-Eight is the final phase for Mission Group in Kelowna’s University District. U-Seven and U-Six both sold out in a weekend. Studios are expected to start from the low $200’s, one-bedroom homes from the mid $200’s, two-bedrooms from the mid $300’s, and three-bedrooms from the mid $400’s. Construction on U-Eight is projected to start in Spring 2019 with completion by the beginning of the Fall 2020 semester. It features 90 suites and offers studio, one, two, and three bedroom layouts.